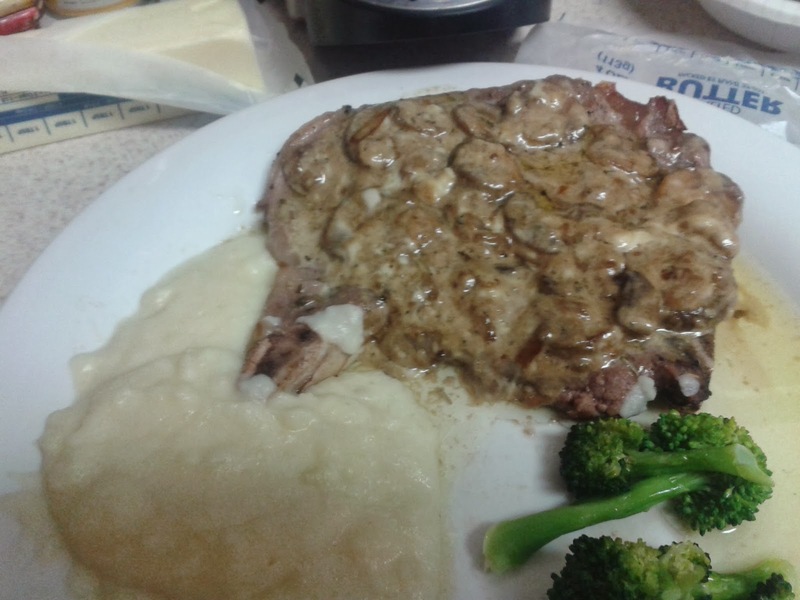 If you're looking for something a little different on your steak, this gorgonzola mushroom sauce is a great alternative to regular seasonings. Next time I make it, though, I will cut down on the recommended gorgonzola amount. The cheese is so strong that using the full amount can be a little overpowering! In a medium skillet, melt the butter and then add the mushrooms and green onions. Cook until the mushrooms are soft, and then add the gorgonzola cheese and Worcestershire sauce. Serve over the beef. In terms of the steak itself, I seasoned mine with rosemary, basil, salt and pepper, then broiled it in the oven for a few minutes on each side before serving with the sauce.